A reissue of the first pop-up book ever published by Knopf, Peekaboo! combines a simple concept, charming illustrations, and basic mechanical engineering to create a pop-up book featuring baby's favorite game-Peekaboo, I See You!. The question "Where's Mommy?" begins this simple and completely engaging pop-up book. Turn the page, and Mommy pops up from under the covers, shouting "Peekaboo!" Daddy joins in the fun when he pops up from behind his newspaper. A jack-in-the-box, the family dog, and a three-dimensional surprise pop up in this adorable and universally favorite baby game! Unavailable for several years, Peekaboo! is a perfect first pop-up book for babies. 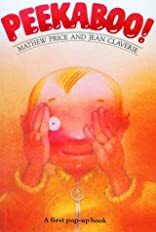 About Jean Claverie (Illustrator) : Jean Claverie is a published author and an illustrator of children's books. 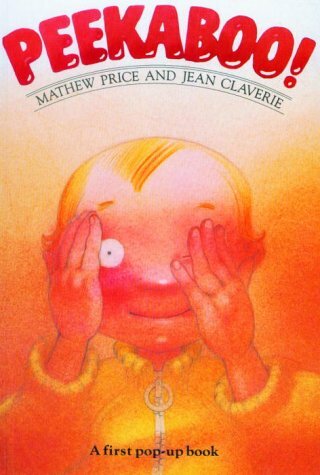 Some of the published credits of Jean Claverie include Little Lou, Riquete el del Copete, Peekaboo.